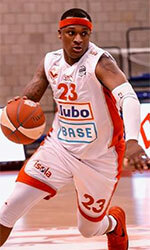 Al Sharjah (D1) inked experienced 34-year old Syrian international center Muhia Kasaballi (208-84). The last time (8-18) he played at Al Jaish in Syrian Division I. Kasaballi has played there for the last eight years. 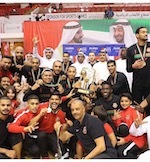 Among other achievements he won Syrian League championship title in 2005 and 2016. Kasaballi also played at the WABA Club Championships this year. He has played also professionally in Syria for Al Ittihad.